We love cats here at Purrdy Paws. Cats self groom & groom you ! They also are fastidious in their litter box habits. Keeping your cat's litter box clean, to their standards, is incredibly vital. We want to help you to keep your cat from "thinking outside the box." Where to place your litter boxes? It's usually not possible to designate a private litter box for every cat in your family, as cats might use any litter box that is accessible. Even if you put name tags up on the boxes, we have found most cats ignore this! Cats sometimes refuse to use a litter box once another cat has been in it. During these cases, you'll have to maintain cleanliness in all of the litter boxes, and you may consider further boxes. You may think that placing a litter box in a remote area, like the basement, is for the best. It can minimize odors and you wouldn't have to worry about litter trails after usage. However we at Purrdy Paws have found that these areas can be naturally forgotten about, and cleaning happen less often than it should. Your cat may just not use it as its inconvenient. It also distances your cat from your you - and we always want our cat's company ! Put the box away from their food and water bowls. There are a number of self cleaning litter boxes on the market. These promise convenience, so that the box is more clean if you cannot always attend to it. Consumers beware: a number of these options might stop a cat from needing to use their litter box. Your kitty may be scared of the mechanism. Cats raised with tradional boxes tend to not acclimate well to self cleaning boxes. Self cleaning boxes are a tool, you always need to take the final responsibility to keep the box clean. Open boxes are sometime avoided because people don't want to see the end result, and sometimes because people believe they create odors. Litter must be continuously cleaned up, and its best to know that it's time to clean and just do it ! The best open litter boxes offer high enough side walls to avoid accidental litter sprays and spills. They also need to be easily entered by your kitty. There are many differing kinds of cat litter on the market. Litters types include clay, scooping/clumping litter, crystal-based/silica gel litter and plant-derived/biodegradable litter. Most cats like fine-grained litters, as a result of they need a softer feel. 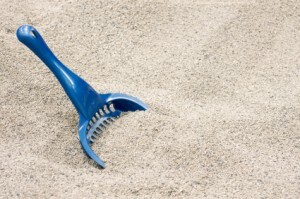 Newer scoopable and “clumping” litter have finer grains than typical clay litter and are extremely popular as a result. They usually do a great job in keeping down the odor. High-quality, dust-free clay litters are fairly powdered and should be utterly acceptable to your cat. Once you discover a litter your cat likes, follow it! Avoid changes in litter types that can cause disruptions to your cat's routine and accidents. We have found that outdoors cats who are used to dirt, can start using your houseplants as litter boxes - yuck ! You may need to mix dirt in with your litter to lure your cat back to the litter box. You may also need to use sand, rather than litter. Avoid adding scents or sprays to litter. Baking soda is a safe way to minimize odors, but anything else can cause your cat to avoid their box, and may even cause allergies. 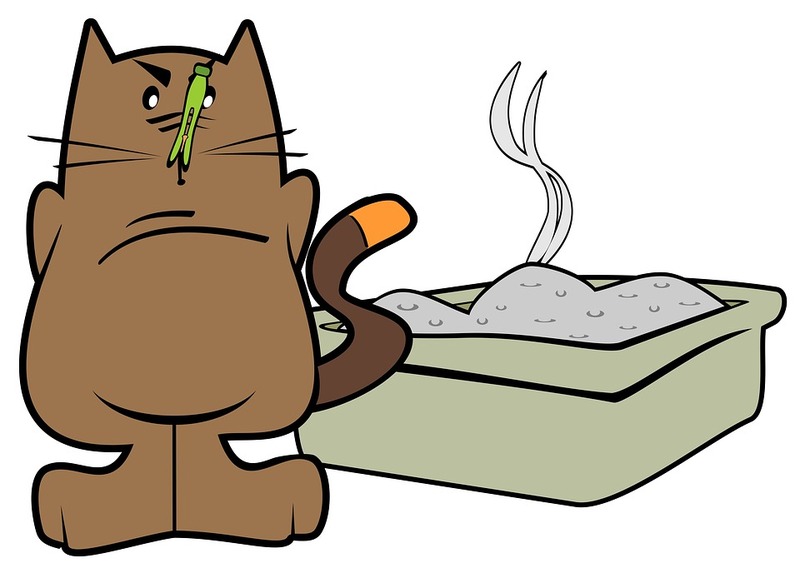 To take care of your awesome cat, no matter what litter box and litter you choose - you must scoop all litter boxes daily. Replacing litter does depend on the type of litter. Purrdy Paws recommends referencing the manufacturer for exact details. Regular Clay: this litter does not clump and so should be tossed away entirely when it is soiled. This can be daily, weekly or twice weekly depending on your circumstances. Silica: These natural absorbent litters should be scooped for solid waste and totally changed out monthly. Wheat, Corn and Pine: These should be scooped free of solid waste daily and changed out totally at least monthly. If you notice an odor or if much of the litter is wet or clumped, it's time for a change. Box liners are strictly a convenience for the owner. Liner are used like a garbage bag to pick up all the litter at once. However, the reality is that the majority cats shred liners to bits when scratching within the box. If a liner works for your cat, they are a great time saver, and if they don't you cannot force your cat to change to use them. Most cats will not use litter that is over 2 inches deep. In fact, some cats really like even less litter and feeling the hard surface of the box. Adding additional litter isn't a work around for scooping and cleaning less often - you always have to do that. Most cats learn from their mothers at a very young age to use a litter box, but recently-adopted stray or feral cats may not know how to use a litter box. If you need to help your kitty in their litter box usage, following some simple tips will help get your cat on the right path. Sometimes even a well-trained cat may seem to "forget" and start relieving himself around the house. The reasons for this lapse in litter box training may vary from medical issues to simple tastes and preferences. Punishment isn't the solution, neither is banishing your cat outdoors. You must exhibit patience and consistency. Please turn to your vet if you are having prolonged problems in training, or for any concerns with your pet's health.